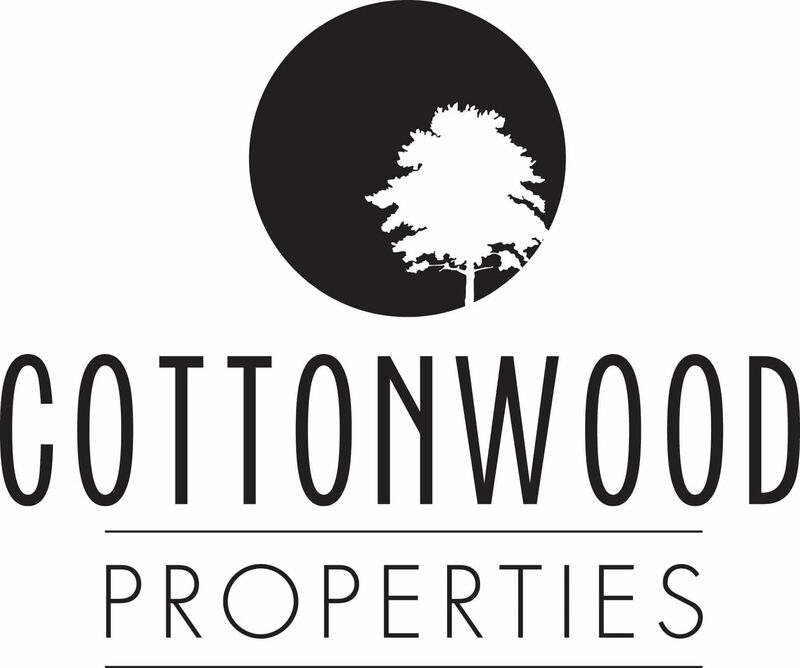 September 25, 2018—Cottonwood Properties has been collecting hurricane relief supplies since news of the storm hit and will continue to take donations through Sunday, September 30. The Black Mountain Keller Williams’ team hopes to completely fill their Client Courtesy moving truck before heading to Wilmington, North Carolina next week, and thankfully, The Matt & Molly Team, located at 86 Asheland Avenue in downtown Asheville, stepped up and donated $1,000 to the cause. Their generosity inspired the Cottonwood Properties team to match their donation, and now owner Eddie Colley encourages all Keller Williams’ teams in Western North Carolina and throughout North Carolina to also match this donation. 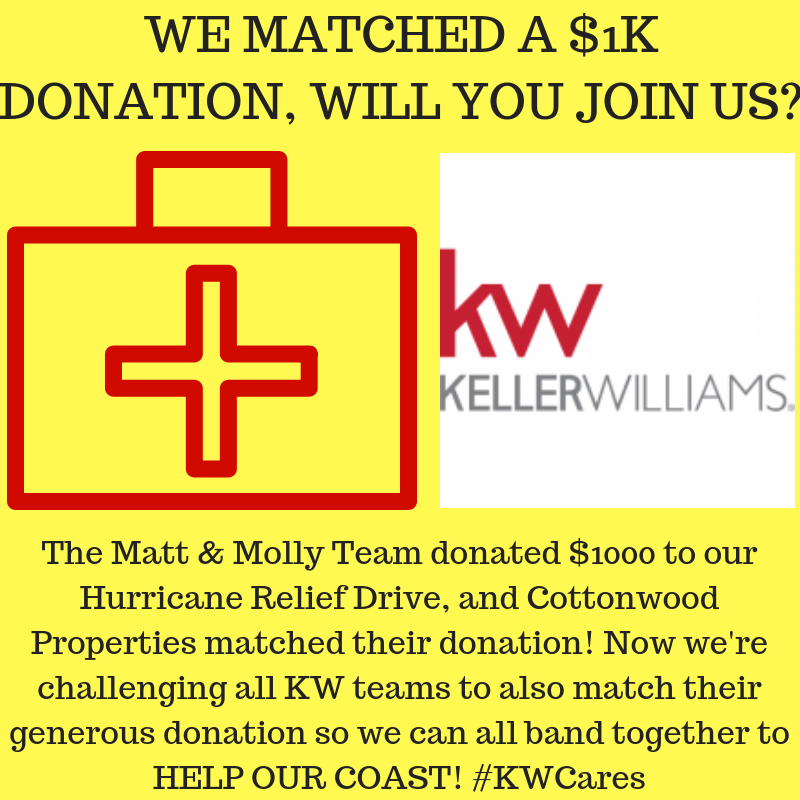 “We were blown away by The Matt & Molly Team donating $1,000, and we hope that other WNC real estate teams will join us in matching it. Together, we can make a real difference for those fellow North Carolinians affected by Hurricane Florence,” Colley says. Digital donations can be sent via PayPal to eddiecolley@kw.com. Many area businesses have already joined Cottonwood’s efforts, including Jim Cook Chevrolet who will continue to collect items in a pickup on their lot at 1075 North Main Street Marion, NC 28752. Other local supporters so far include Ingles Corporation, Retreat Realty, Allstate Insurance, Lake James Realty, and Old Fort Elementary School. Supplies are also being collected at the downtown Keller Williams office located at 86 Asheland Avenue.